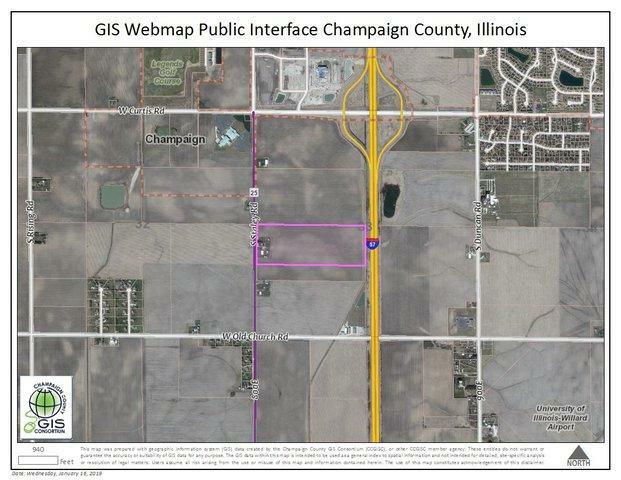 This parcel is prime for immediate or future development on the SW side of Champaign. 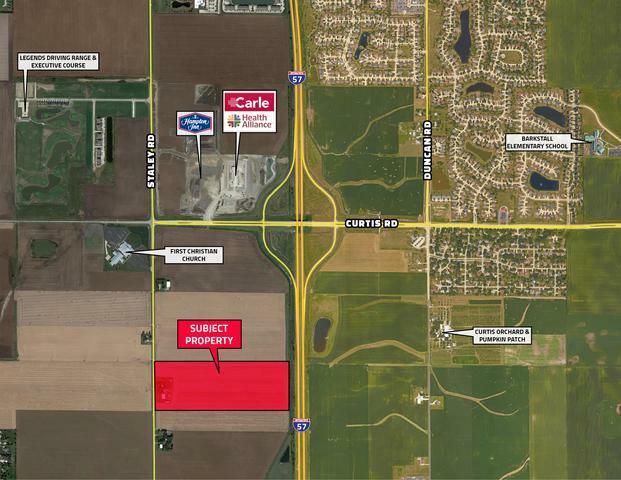 +/- 56.04 acres are available on South Staley Road less than 1/2 mile from the rapidly expanding Curtis Road interchange. This is the third property south of Curtis Road on the east side of Staley. This property is priced with development in mind, but should you wish to farm it, is has outstanding soil productivity indexes in excess of 143.50. Current tenant has lease in place for 2019 crop year.